Pocket Troops marches around the globe and has more than 3,5 million players already! Today we hail thousands of new Android Commanders from China, South Korea and Japan. iOS comrades will join them slightly later. That means that experienced Pocket Troops commanders will face a lot of new strong opponents soon. Be prepared if you want to hold the positions in the contests and leaderboards. Stand your ground! What else is new in Pocket Troops? + The new Commander’s and Epic chests are available now. More cards, more weapons, more resources. + Game account security is improved. + The pack of new bosses for the most experienced commanders. 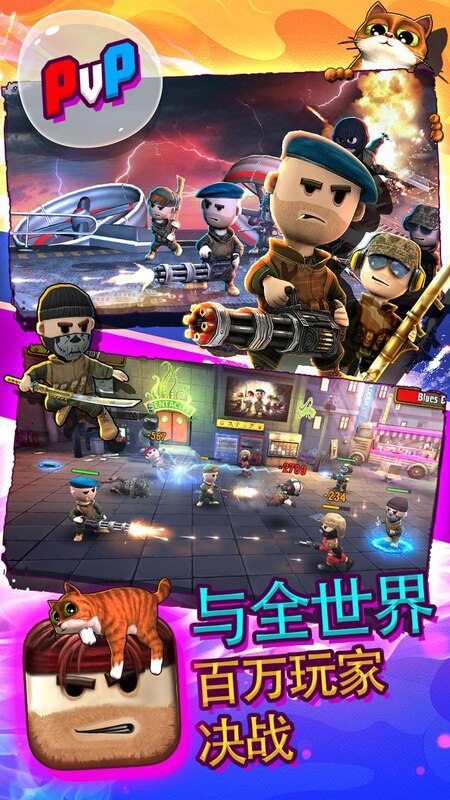 + Pocket troops is available in China, South Korea and Japan now. + Bug fixes and optimization. Dedicated to the The 117th Anniversary of Ernest Hemingway's Birth. p.s. the features will be available in 24 hours as far as the most commanders will update the game. Haven't run into any of the new bosses yet - just the regular Yakuza, Boom, and Fireman ones. Same here ... maybe they are in campaign missions ? I guess we all here finished this. Edit : " for the most experienced commanders ". So they're not supposed to appears in campaign. I'm 3000+ points and didnt'encountered them yet. Yeah,i've opened a thread about it and I've just seen your post bro. 1) The new bosses are the new levels of difficulty. they were created for the players who had a problems with the boss rolling. 2) The problem is that there are views limits for different regions and device types, and that limits are made by the ad service. We can not change it from our part. When you watch ads we earn too, so there is no sense for us to make any new limitation.